Douglas E. Welch talks New Media to the listeners of the Handbell Podcast, hosted by Dean Jensen and Paul Weller. “From Camera to YouTube” will walk you through the process of creating a New Media project from initial recording to final placement on YouTube (or other video sharing site). We will demonstrate the unique pros and cons of different types of cameras, audio recording techniques, microphones, editing software, and online services designed to host, share and distribute your new media projects to the world. “From Camera to YouTube” is designed to give you the information you need to start creating your own New Media projects today. Bring your most pressing questions. You’ll also get an opportunity to hear how the Writers Guild is addressing New Media and its unique challenges for writers. New Media Interchange is a free group dedicated to bringing the power of New Media to everyone. You can find more information on our web site at http://newmediainterchange.com and our community/discussion site, http://community.newmediainterchange.com. For more information, email info@newmediainterchange.com or call 818-804-5049. “Noted” items are quick finds from my daily reading. You can see a complete list of Noted Items here. If I’m going to tell companies that content marketing is important, I should probably give my thoughts on how to make it useful. I’m thinking about blogging, podcasting, shooting photos, making video, and all the other tools social media allows us to use to tell stories (not market). In my ideas, I give you nuggets of what matters to me in media making, and what I believe will matter to your prospective audience. BarCamp is an unconference, which means the conference attendees are also the presenters. You meet on Saturday, post your session on a wall chart schedule and away we go. Topics can be anything that you are passionate about. 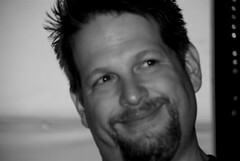 I am planning on doing at least one New Media-related session, but I have several others I might do, if time permits. I would love to see all of you there, both learning and sharing your knowledge with others. I am hoping to run a local webcast station live from BarCampLA interviewing interesting people and giving podcasters a chance to record their show live. If you are interested in a 30 minute or 1 hour time slot, please let me know. I will have a signup available as we get closer to the event. Finally, I also plan on doing our 3rd BarCampLA Acoustic Music Jam on Saturday night, I get a big kick out of this and it was very popular last year. Interesting story on turning New Media success into traditional media dollars. 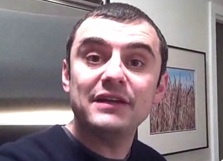 Garyvee (aka Gary Vay•ner•chuk) is crushing it. The wine retailer-turned-video-blogger is cashing in his Internet fame for a seven-figure, 10-book deal with HarperStudio. That comes to at least $100,000 per book, which is decent for first-time an unproven author, but he is going to have to hustle to keep up the interest for ten books. His first one comes out in September, and is called: Crush It! Turn Your Passion into Profits in a Digital World. One thing Vay•ner•chuck has going for him is a built-in audience he cultivated one e-mail at a time, starting with his his popular video wine blog, Wine Library TV. Then he started branching out beyond wine into marketing, motivational speaking, other Web video shows, wine-review site Corkd, and even T-shirt search (because everyone is always looking for a good T-shirt).